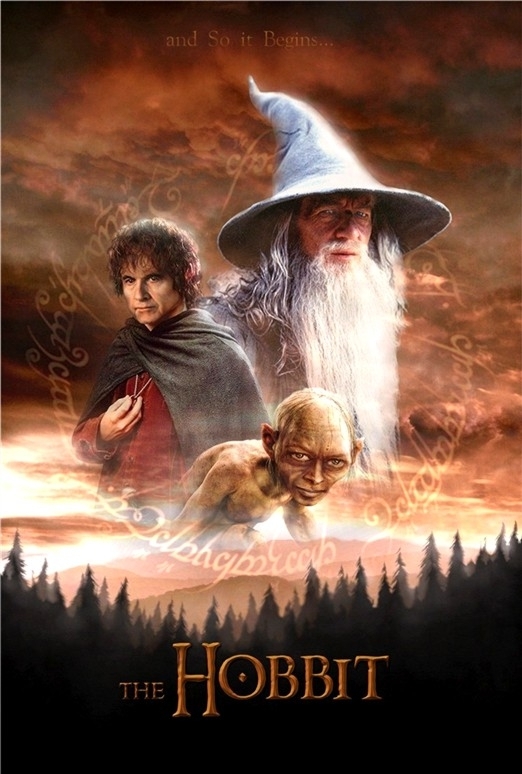 Tis the season for the trailers for next years huge movies and after The Dark Knight Rises we have The Hobbit. Fairly predictable, showing as much as possible to remind general audiences of it's ties to The Lord of the Rings series. Looks pretty and I'm sure it will satisfy fans until the next meatier trailer appears next year. Saw this one last night. Pretty excited to get back to the theater for another Hobbit tale. My only fear is that the trailer makes the film look like it's going to be slow, and I hope that's not the case. What's your take on it? I don't know really rG, I suppose it depends how much of the book they actually cover. I tried to read it as a teenager and it bored me to death to be honest. I'll see it but I certainly won't be first in line. The Rings films got progressively worse in my eyes so we'll have to see. I'm guessing you're not a big fan of the Tolkien world then Wes! Well get used to more hating Wes M, 'cause this is a two-part film.